Your review of the product has been sent. 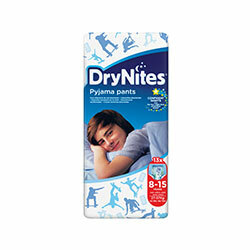 Discover DryNites®, disposable Pyjama Pants. Specially designed for children over the age of three, it’s available for Boys and Girls in two different sizes : 4-7 years and 8-15 years. A suitable management solution for children who wet the bed. It is absolutely awesome to be using these pyjama pants. I so wish it was around when my son was little, but at least we can use it for his little girl now. 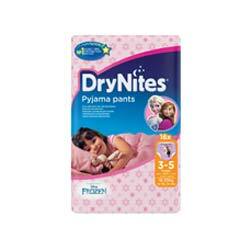 Enuresis is such a difficult condition to deal with, and having pajama pants makes is so much easier! No more waking up cold and wet. Just a good night's rest with no worries. Great product - just no stock available online and I can't find it in any of the listed stores in my area. Bigger packs would be great too. 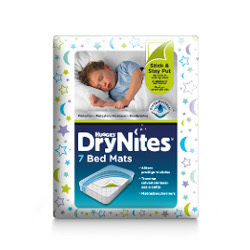 I wish I discovered this product way earlier both my son and I would have not gone through the grief and frustration of waking up in a wet bed. My son lives the feel and comfort of the pyjama pants. Thank you for the sample. Found it to be very comfortable and kept my baby dry throughout the night. Would recommend it to any parent. Was grateful to have received a sample, but unfortunately my son refused to wear it. He just thought it was a nappy. I thought it was quite funky and looked so comfy, but he did not want to feel like a baby. 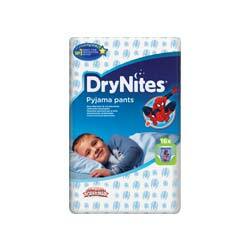 Best product ever, my boy can sleep peacefully and his confidence is slowly improving because no more wet bed and blankets. Although this was a very good quality product I only give it 3 stars due to the very high cost. 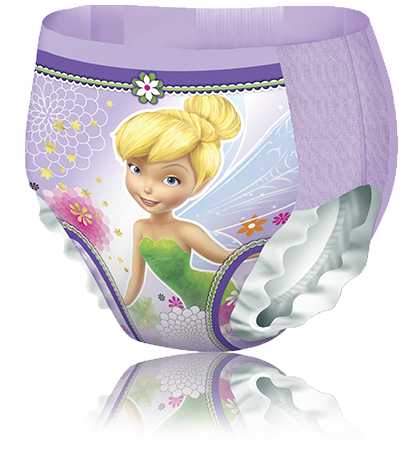 Possibly we are not quite in line with the target market for this product, as my pre schooler has a disability and my friend thought to recommend these for the larger size as I struggle to get nappies that fit. 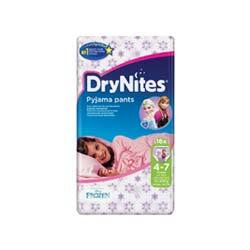 The DryNites pajama pants work perfectly but I am looking for more affordable options.